Maybe you’ve heard of the New Media Expo (NMX), which was held in Las Vegas earlier this year. An All Access Pass to this event ran $1,297. Perhaps you’re more familiar with the Affiliate Summit marketing conference- registration costs $2,249 for an All Access Pass (though you can knock off a thousand bucks if you don’t want the session recordings). Marketing conferences and networking events aren’t cheap. Besides paying the event fee, you’re also shelling out money for your hotel and travel (typically plane fare). And then there are incidental expenses like food, flight carry-ons, pet and/or kid sitting. Are conferences worth it? According to Ray Ortega, Daniel Lewis and David Jackson of the Podcasters’ Roundtable, yes. These guys spent almost an hour interviewing attendees at this year’s NMX and learning that it wasn’t just the quality of the presented content, but also the networking opportunities, that made shelling out a few thousands bucks on a conference worthwhile. Still, not all of us have the luxury of spending this much cash on a business investment. Sometimes, even getting in free into conferences and trade shows doesn’t work: For those of us with family or other responsibilities, getting away for even a few days is next to impossible. And yet, learning and networking are critical to you growing and becoming successful at your Internet marketing business. So, how can you still learn and network on the cheap- or even completely free? 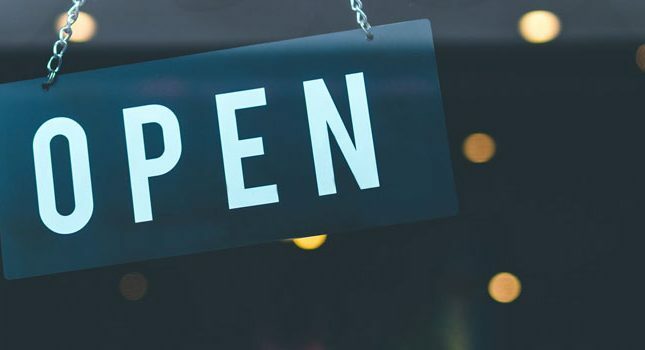 Thanks to the growth in the number of independent contractors and freelancers, there are more people than ever before doing affiliate and online marketing. And these folks are not satisfied with waiting around for a once-a-year conference or other main event. 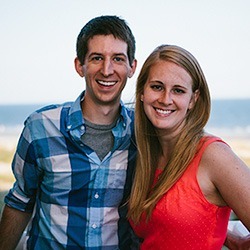 No, these online entrepreneurs are starting their own events and mastermind groups. Many of these events occur monthly and charge only a nominal fee- or nothing at all. The groups might meet at a local restaurant, business or even a member’s home. 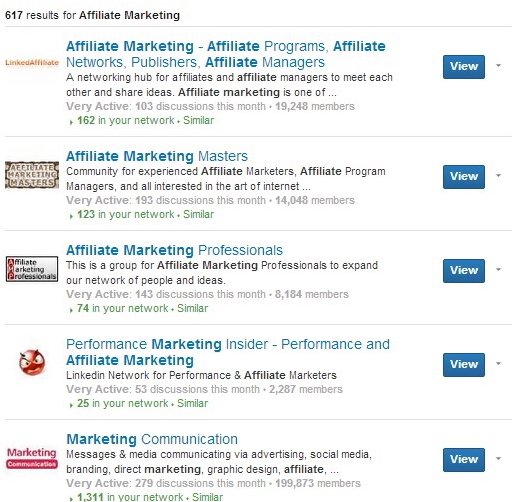 While not all the events listed here would qualify as being appropriate for affiliate marketers, the first (Niche Marketing- How to Find Leaders!) and last (Lunch & Learn: Social Media/Internet Marketing for Small Business Owners) events did catch my eye. The first event was free and the second one cost $35. 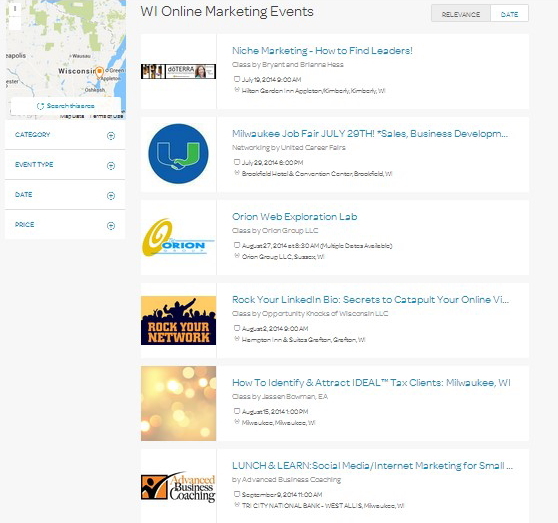 I also used the search terms “affiliate marketing” and “Internet marketing” and found another set of events in Wisconsin. Meetup groups abound in everything from kayaking to knitting to…you guessed it, online marketing. 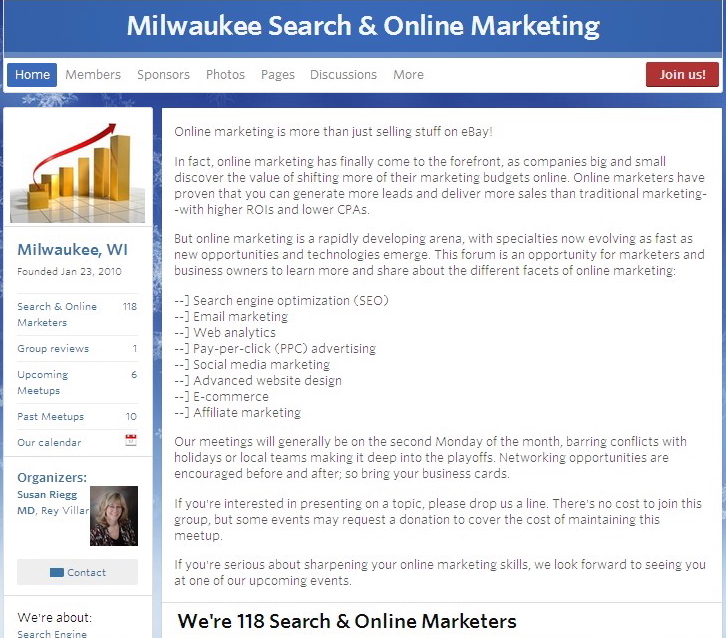 After searching for a Meetup about online marketing within 100 miles of my hometown of Madison, I found a Milwaukee Search & Online Marketing Meetup group consisting of 118 members. Meetup groups are free to attend and can occur once a month or even once a week. And if you don’t see a meetup group you like, you can start your own. 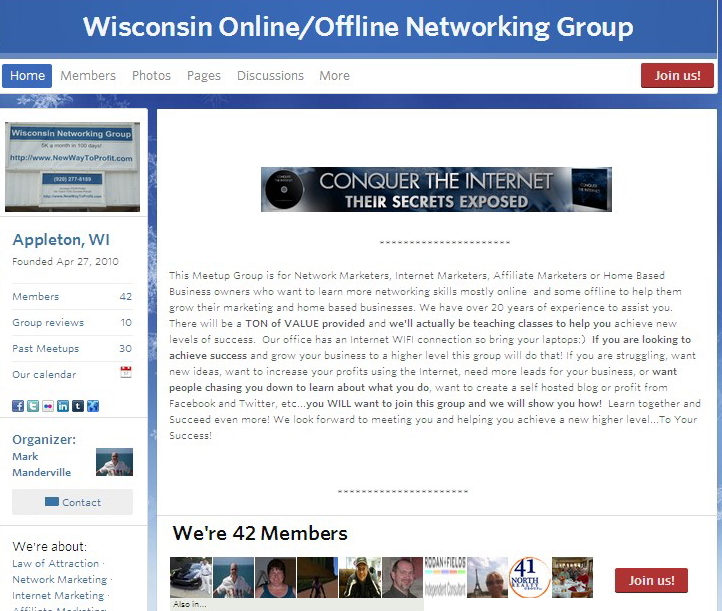 Social media sites also offer a number of free or low priced networking events. 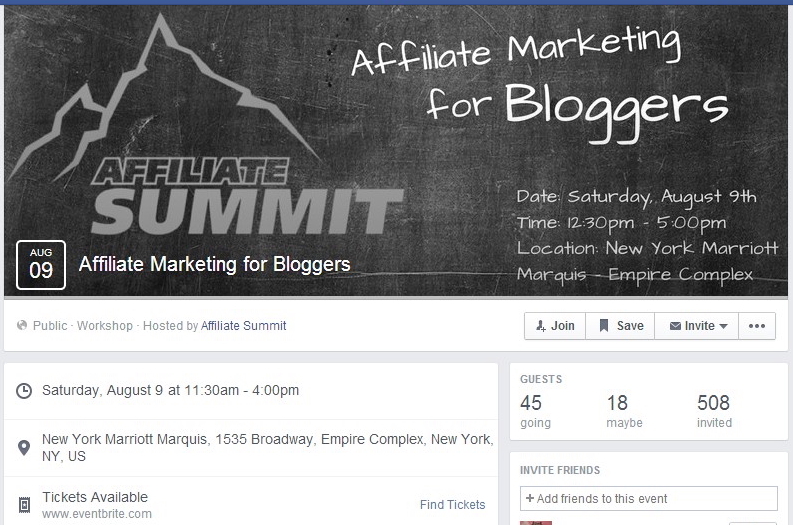 On Facebook, I located an Affiliate Marketing for Bloggers event that costs either $20 or $35 for early bird or regular registration, respectively. This event occurs in New York, however, in conjunction with the larger (and more expensive) Affiliate Summit. If you can’t make it to this event, no worries there. 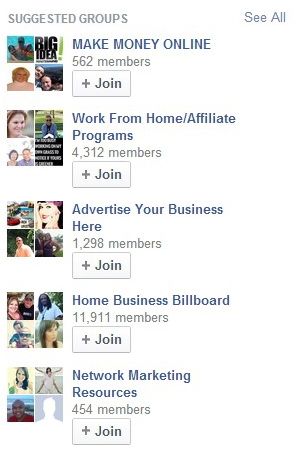 I also located a bunch of other Facebook groups focused on affiliate marketing and located all over the country. These groups also meet regularly. You can do highly effective one-on-one networking by emailing individuals who catch your interest, even those high-profile influencers that you’d assume would have no time/energy for a meeting or phone/Skype call. 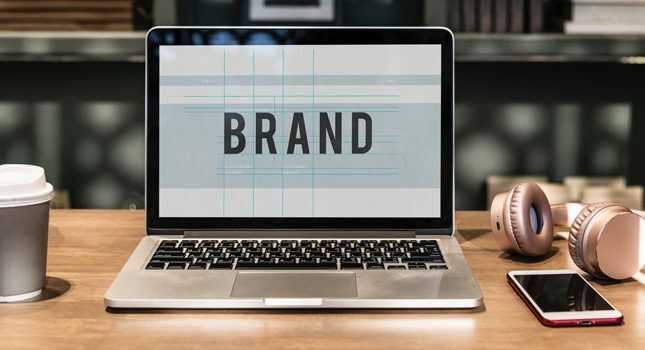 However, one surefire method of gaining the attention of just about any affiliate or online marketer is to try her informational product and then offer a quality testimonial. Why does the testimonial strategy work? Because most customers who buy an informational product never really put its principles to use. Sure, they may check out the product during the first few days when the feel-good vibes about making an educational purchase are still strong. But very few customers really implement the lessons of their purchased product. Thus, if you purchase and actually use your influencer’s product, you are already distinguishing yourself from about 99% of his customers and fans. And because collecting honest testimonials is like pulling teeth, you can bet that your product review will gain his attention- and maybe even a post of its own. The cost of this level of networking is essentially the cost of the informational product. However, you can meet for free with that target individual or, at most, offer to cover the cost of her lunch. If that individual doesn’t live in your geographic area, try networking through a phone or Skype call. The biggest obstacle with this level of networking is simply getting over your fear of reaching out to “big name” people. Just remember that many online marketers lead rather solitary (i.e., lonely) lives and would gladly appreciate a fan reaching out to them. Do you have a tried-and-true method for networking in your neck of the woods? If you do, please leave a comment about it below.